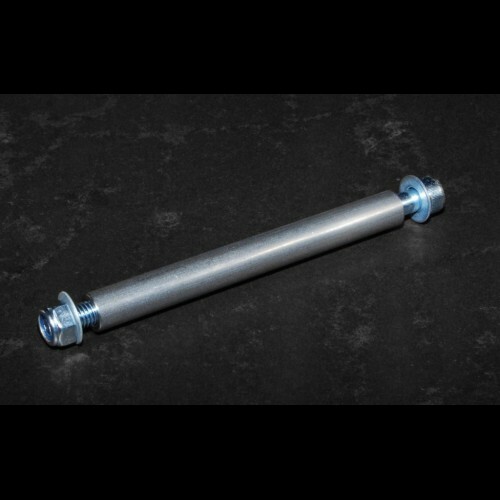 Our precision ground Mild Steel Sleeve, zinc plated, and M8x140 BZP Steel Cap Head Screw replaces the standard sleeve on KTM 690 Enduro & SMC 2008-2013. The OEM item can cause slack in the polyurethene bushes fitted in the tank, leading to early breakage of the Upper Tank Bolts. The sleeve is slightly larger outside diameter than standard, forcing the bushes to compress better into the Rear Tank. A quick, simple conversion,with the added bonus of being easier to remove the single M8 bolt and nut,than the 2 blind M8 screws as standard.